David Ray killed eight students and then turned the gun on himself. He thought the shooting and suicide would fix his world. It didn’t. The massacre threw Tanner Khan and the other survivors into chaos. Twenty years later, Tanner and his fellow classmates reluctantly agree to hold a reunion to lay the past to rest. Although they suffer from Post Traumatic Stress Disorder, they come back to their hometown and reunite in the defunct school building. Old flames are rekindled, fears are ignited, and their lives are about to explode in a whirlwind of memories, haunted by the spirit of David Ray. Once they’re inside the school, they discover that a dark entity has joined them. It has come to collect a debt, long overdue, and someone has to pay. Will Tanner and his classmates overcome their fears, putting the pieces of their lives back together, or will they be consumed by their worst nightmare? 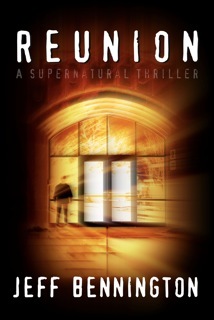 *REUNION is a supernatural thriller that digs deep into the world of school shootings, bullying, and the long-term effects post-traumatic stress disorder. This multi-genre thriller has, at times, elements of the supernatural, horror, romance, and certainly suspense, without disregard for the trauma that many survivors deal with the rest of their lives. Have you ever wondered what becomes of the students who have been traumatized by a school shooting? Or have you puzzled over what might cause a child to intentionally murder his or her peers? Have you questioned what the long-term effects might be on the victims? How would their lives change? Who would make the most of their journey after the shooting? Who would lose their faith? Who might find it? Over the years, I’ve wondered if the survivors would be able to return to the place where they watched their friends and classmates suffer, and die, at the hand of a crazed teen? How would they perceive those memories twenty years later? These are the questions that have swirled through my mind every time I’d learn of yet another school shooting. I cringe when I hear that another young person has gone off the deep end and killed his classmates, leaving this world a darker and colder place with every bullet fired. The fact that it happens forces us to question what is wrong with our society–that this is even possible. The arguments are endless. But I didn’t write this story to discuss politics. This book does not make any declarations concerning the root cause; it only addresses my questions regarding the victims, their lives (post-shooting), and my imagined mental state of an adolescent shooter. Remember, REUNION is fiction, and I hope that it is judged as such. This multi-genre fiction has, at times, supernatural elements, because after all, the supernatural is spiritual, and doesn’t a school shooting boil down to a spiritual issue? I have also taken the liberty, or creative license, to include elements of horror, because I could not otherwise tell the truth–school shootings are horrific. If you want to read a story that goes beyond the superficial, then you might appreciate the value of all the elements that make this book what it is: supernatural, horror, romance, suspense, and dark fiction. I love supernatural thrillers as a general rule. I’m not easily shocked or scared, and Reunion did not disappoint. A small portion of the beginning is devoted to the school shooting itself. Jeff Bennington does an excellent job of putting the reader inside the mindset of a troubled and abused teenage boy who turns to murder and suicide to end his pain. You’re also introduced to the main players in this tale, their hopes and dreams just as they are about to graduate. The writing is smooth and the character interactions are very believable. 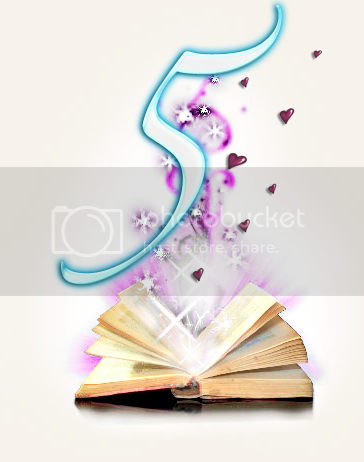 The author describes the setting very vividly and you can easily picture the story as you read. After you are giving a small taste of what everyone was like in high school and where they would have headed had the tragedy not occurred, the book fast forwards to twenty years later. The main characters are introduced one by one and you can see how life changed for them. Jeff Bennington gave a wide variety of reactions to the tragedy for these survivors. The valedictorian has become a therapist who deals with Post Traumatic Stress patients. The popular jock has become an alcoholic who can barely hold a job and has married his ex-goth high school sweetheart. One woman was shot in the leg and arm and has went on to become a motivational speaker and author. The future doctor changed directions and became a cop, even though he has flashbacks whenever he hears gunfire. The last man became an adventurer, always searching for the thrill that will put the past behind him. But when they come together for a twentieth reunion and decide that it should be held at the vacant school where the shooting occurred, strange paranormal events and a malevolent entity are whipped into a violent frenzy. The survivors are forced to face their worst nightmares head on, and with disastrous consequences for some of them. There was a twist about three fourths of the way through and I didn’t see it coming at all. Jeff Bennington has written a fast paced, entertaining, and creepy supernatural thriller that has twists and turns in all of the right places. I give this a five and it is a must have for your reading lists. And you can check out the trailer for REUNION below. Be sure to check tomorrow, April 4, 2011 for Jeff Bennington’s blog tour stop on Bewitched Bookworms. He’s giving a guest post on why ghosts make the best antagonists. 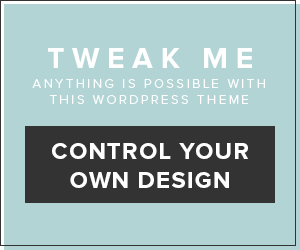 Trust me, you’ll want to check it out. Plus you can enter for a chance to win a Kindle! See you tomorrow. So glad you enjoyed it! I haven't had a chance to read the whole thing yet but I love how it sounds! You definitely have to finish this book. Once the twist comes, you can't stop reading until it's finished. Great book. Thanks for visiting! And CofDW, I'm glad you liked the twist…can you imagine how excited I was when I realized that had to happen! That was a triple BINGO!